I think this quarter has been really great and really productive as well. Though you would not think so because of the lack of blog posts and finishes. But I have been working a lot on my projects and some are really close to the finish line – so expect some blog posts soon – and some are a good step further along the way. If you have been following me for a bit, you know that this quilt has been in the making for quite a while. I am really happy and proud that it is now finally finished. Read more about it here. This is my one and only official finish for this quarter. I have another finish which was not on my list: A raffle quilt. Tickets are available till the 23rd of October. Proceeds will help the disabled daugther of a friend from my gospel choir. This quilt is relatively new. I started it at the end of Q2 and it was new on the list for the Q3. It’s going to be for the baby of a dear friend (again). The picture we picked for the layout idea, is the reason for the strange working title :) See the inspiration here and here. I have descided on using the solid pure elments fabric by Art Gallery I had on hand. The piecing is done. The quilting in progress. So hopefully it will be done soon. Actually it was supposed to be finished already and the baby boy is here to recieve his gift since 1st of October… but this is a real #murphyquilt. I think everything that could go wrong did and I am still fixing „problems“ and hoping with all my heart that it will turn out fine in the end. Since Q2 we do have all the tutorials, so I could finish it – ähh catch up. I would actually love to work on this one, too. But in reality it is often just too much. Unfortunately still no progress, allthough it has been out of its box sometimes. I am hoping to get it done this year and finish this second really big WIP (after Aviatrix) as well. 17 of the 48 blocks are finished so far. I am considering having it longarm quilted with a computerized pantograph. I really love the work crinklelove does but shipping to and back from the US sounds daunting. Does anyone know a longarmer spezializing in computerized pantographs here in the EU? Just two are done so far: Round No. 2 and From Outside In. And I count my raffle quilt as one, too, even if it’s not for the neonatal station. So send me some motivation or a certificate for the most crazy quilter – I still need to sew nine if I want to cross the idea out of my mind. Reconsidering for next year is definitely on the list – but first I want to get it done this one year. Let’s see how it works out – or not – how far off I will be at the end of the year. Supposed to become something different, I have now decided to change this unwanted project into a baby or toddler quilt. Changed my mind from disappearing four patch to a modern four patch like this idea. I didn’t like the proportions whilst simulation a disappearing four patch. Started the cutting for the smaller four patches. At the moment without an individual in mind – maybe to be a charity quilt. At the moment I have a lot of four patch blocks in kona cotton solids. This is a stack of different sized HSTs some only sewn, some already trimmed, some even put into blocks. Inspiration was this Pinterest picture from Rachel @ Snippets of Sweetness. I have no real plan here, if I ever had one I lost that paper :) Unusual for me but it’s a fun project to do some sewing on inbetween. Linking up at Finish Along 2016 @ She Can Quilt. Hi! 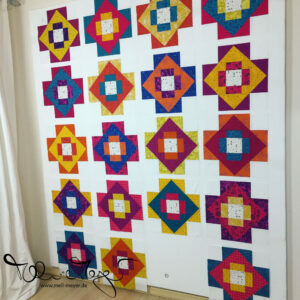 Love your work, especially adore the medallion quilt! 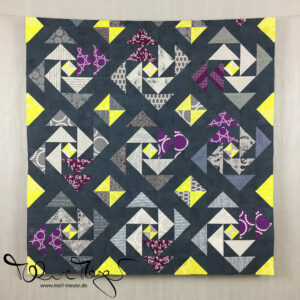 Elly Prins is a well-known longarm quilter in the Netherlands (not affliated). 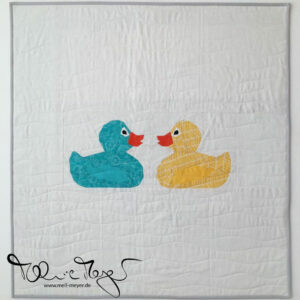 She provides several examples of overall patterns on her website: http://www.machinequilting.nl/quilt-opdracht/patronen/overal-patronen.html . She might be able to help you find a German colleague of hers? This is a lovely list! And I wish you luck on your donation quilts. I’ve been thinking about trying to finish one for a neonatal unit near me–we’ll see if I can manage it! I just LOVE the Aviatrix Medallion, it is beyond beautiful!! Your other projects are awesome too, I love your color choices! Good luck with your finishes, and your fabric choices and photography are excellent! :) Thank you for participating in the FAL, on behalf of the 2016 global FAL hosts.